I recently went along to a launch event for Docteur Renaud, a French skincare brand that’s recently launched in Marks and Spencer beauty halls across the country. 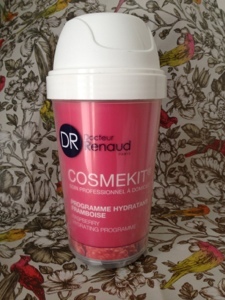 As part of the goody bag, I received the Raspberry Hydrating Programme Cosmekit*. This was the product I was most drawn to at the launch event as it sounded like a way to give yourself a mini facial at home, and came in an unusual looking shaker container. The Cosmekit is a single use treatment that contains three steps: exfoliator, moisturiser and mask. The exfoliating gel is used first on slightly damp skin, massaged in and then washed away. This helps prepare the skin for the moisturising steps. Step two is a moisturising treatment that you massage into your face. There’s a little leaflet inside with instructions on how to give yourself a sculpting facial massage while using the cream. This step was quite fun, although I did struggle a little to know how much pressure to use on my face (I went with firm, but stopping before any ‘ouch’). 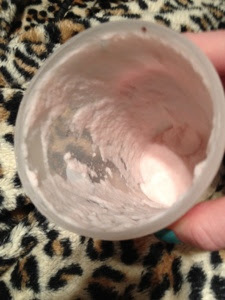 Despite there being quite a lot of product in the small bottle, I was amazed at how much my face actually soaked up. It was clearly drier than I thought! I tissued off any excess before moving onto the mask. 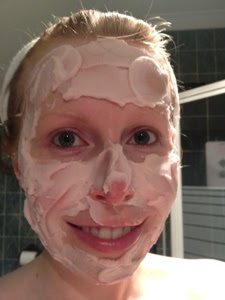 The final step (and the one I was most looking forward to), is a hydrating foaming mask. This is where the shaker container comes in as you get a sachet of powder, add this to a small amount of water in the shaker, then shake for about 5 seconds. You then end up with what looks like raspberry mousse. I applied this using the wooden spatula provided to my face and neck in a thick layer. I did have a few carpet related accidents where a little bit slipped off – I think I might’ve added a little too much water to the mix. I left this on for about 10 minutes, then scraped off the bulk with the spatula again and tissued off any remaining mask. My skin was feeling so soft! 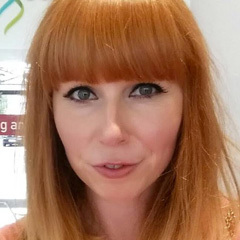 Even the little lines around my mouth had plumped out visibly, which I thought was pretty impressive. I really loved using this treatment. It smelt like raspberries, so if you aren't keen on scented products it’s not for you, but the smell was definitely more ‘natural’ than some of the synthetic fruit-smelling products I've tried before. The only downside for me is the price. One treatment retails for £22.50, which I think is too expensive given the fact it’s a single use product. If it contain enough for maybe 3 treatments, I would think this was fair, but at that price, I’d be tempted to just save up and go for a full facial instead. It’s a shame as other than that, I love it. 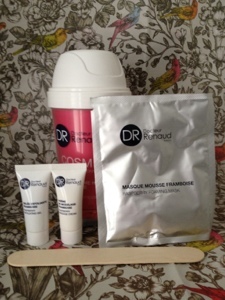 Have you tried anything from Docteur Renaud? This mask sounds so nice and I love the smell of raspberry! But I do agreee, for a single use mask this is very expensive, I would rather buy a tube and get lots of uses out it. Very interesting - love the packaging! Its fun. The mask looks great on, quite fun, I have never used a foaming mask before. I do agree, its a lot for one treatment...esp when you can pay a bit more and have a facial done in a salon!? I've read up on this product when I was previously researching the brand after not receiving the raspberry soft cream that many others did get in their glossybox. The idea of this mask caught my eye when I saw it on their website and sounded like something I def wanted to try but didnt rush to get it since it does sound pricey for something that wouldnt last too long.